Today Jake and I made a trip to Cedar Point. Jake received a 2018 season pass for his birthday, so our first stop was at the season pass window to get him enrolled for the first time. Up next, I sprang my big surprise on Jake. Inside the park I led Jake to the G.A. Boeckling's Eerie Estate haunted house. We entered the estate and gathered with the other guests in the living room. Soon we were led by the spirits of the house to the main dining room where we sat down for Boeckling's Banquet, fine food that's to die for. I had the surf & turf and a glass of Merlot while Jake had the filet mignon. We both enjoyed our excellent meal in this distinct setting of the haunted house with the spirits and creepy characters. 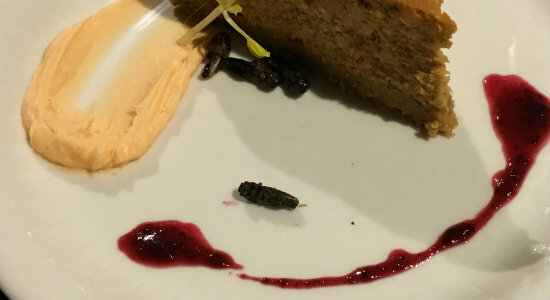 The meal was topped off with an excellent pumpkin cheesecake and an added surprise, crickets. We took our souvenir goblets to the car and spent the rest of the day in the park riding as many of the thrill machines as possible. The park was crowded on this Halloweekends day. 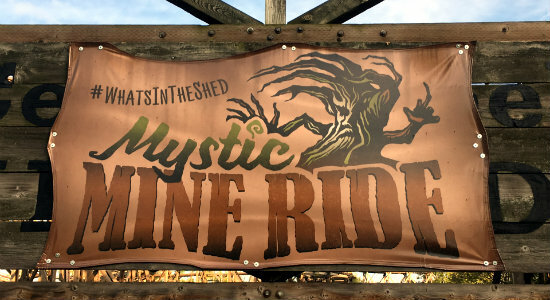 The Cedar Creek Mine Ride was renamed for Halloweeks to Mystic Mine Ride. 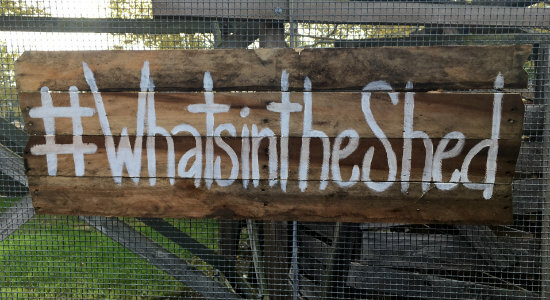 The new name and a few added theming elements poked fun at Kings Islandâ€™s new coaster, Mystic Timbers. As the sun set, I took Jake to Celebration Plaza for the introduction of the screamsters. 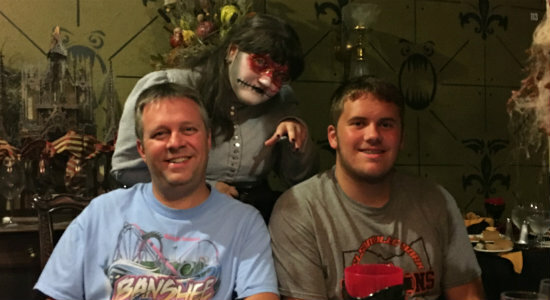 We made our way through a couple of the scare zones, like Blood on the Bayou, Screamworks and Tombstone Terror-tory and the indoor maze, Deprivation. We had a good day together experiencing the park and westling the crowds. The weather was fine but a little chilly. And then it was finally time for the long drive home. Click here to see more pictures of our trip to Cedar Point.